Fifty-nine readers love this post. What makes us happy? It's an individual thing really. Some of the things that make me happy are chocolate , cinnamon and cookies. What would make me even happier ? Combining them with liquor to make a great cocktail! Obviously there are alot of varieties to choose from and I must say this was quite a fun cocktail to come up with! I start out with Rumchata. (Horchat Con Ron). Cream, Carribean Rum, Cinnamon , Vanilla. What's not to love? It's based on the popular Spanish drink Horchata which was actually was created by The Egyptians for The Pharoahs! A bit of history there for you! I wanted my cocktail to have a bit of a kick to it and I knew that whiskey would do the trick! I chose Michter's US*1 Bourbon. It's small batch and has a rich vanilla and caramel flavor with just the right amount of oak. It gives my drink just what I was looking for! Now for the cookie part. One of my favorite cookies are Speculoos. What the heck is a Speculoos? It's a spiced shortcrust biscuit that I first fell in love with a long time ago in Holland. I decided to not only rim the glass with the cookie but also serve a whole cookie on the top of the cocktail as an added treat. Perfect for dunking too! 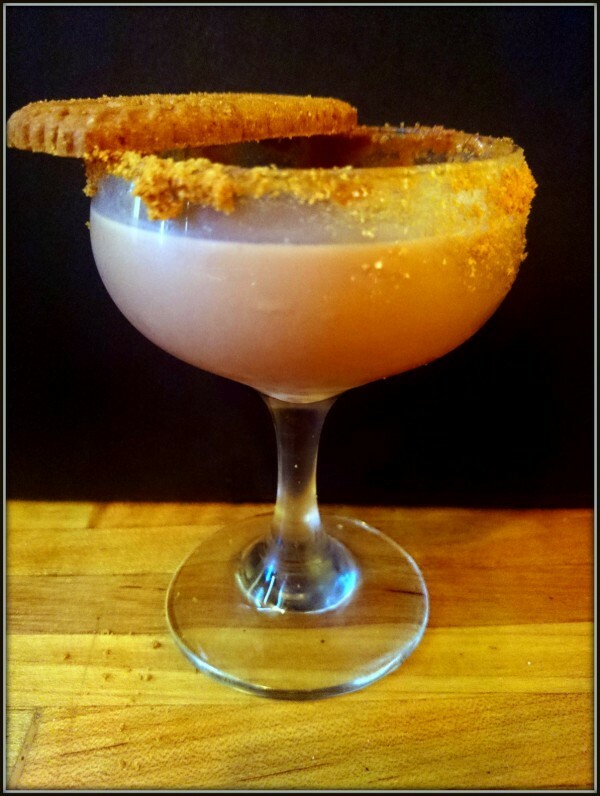 Yes you can dunk a cookie in a cocktail! Last but not least a bit of organic vanilla bean is added to the mix. Yum! So for a delicious cocktail that will definately put a smile on your face, Have a Happy Decadence! You'll be so glad that you did! Cheers!! !